To celebrate Willie Nelson's 80th birthday on Apr. 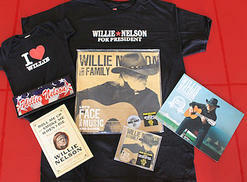 30, we're giving away his new CD, his recent book and a "Willie for President" t-shirt to one lucky CelebStoner supporter. 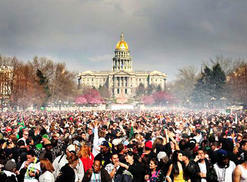 Events for the 4/20 stoner holiday, especially in Colorado, mostly sold out. Tickets for the Cannabis Cup soared to as high as $1,000. Snoop Dogg and Ke$sha lit up the MTV Movie Awards show when the rapper came out smoking a blunt and passed it to the singer, who took a couple of hits. But was it really weed? Arriving on a Saturday, Apr. 20, or 4/20, was huge this year. 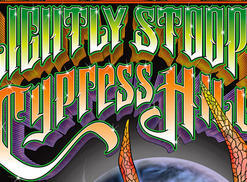 The stoner holiday featured rallies, concerts, judging contests, film openings and the Lebowski Fest. Former child star Amanda Bynes likes to smoke pot in public. The actress was photographed on Apr. 8 puffing what appeared to be a joint as she walked in New York's Times Square.